I2C Peripheral is a circuit module with I2C serial interface consisting of an optional 8 - bit Analog - to- Digital and Digital - to- Analog Converter ( ADDA ) , serial EEPROM , and Real - Time Clock ( RTC ) DS1307 . 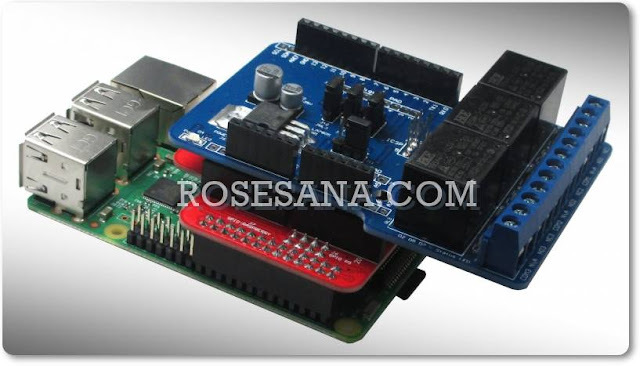 This module can be used as inputs and outputs in applications such as measuring temperature , motor speed control , attendance , datalogger , display time , robotics , and so on . * 4 -channel ADC input , programmable as single -ended or differential inputs . * Output 1 -channel DAC . * The maximum conversion time ADC and DAC = 90 us . * Error linearity ADC and DAC maximum = 1.5 LSB . * The reference voltage VREF = 2.5 Volt ( using LM336 - 2.5V ) . * Range of analog input : 0 - 2.5 Volts ( single- ended input ) , -1.25 - +1.25 volt (differential input ) . * Range analog output of 0 to 2.5 volts . * Available 1 output pin from the internal oscillator . * Counting the seconds , minutes , hours , date , month , day , and year in the format of the Binary - Coded Decimal ( BCD ) . * There are 2 modes : 12 hour ( AM / PM ) and 24 hours . * 56 bytes Nonvolatile SRAM . * 3 VDC lithium battery backup . * 1 square wave output pin with programmable frequency ( 1 Hz , 4 kHz , 8 kHz , or 32 kHz ) . * 1 piece AT24C01A ( with a capacity of 1 Kbit ) by pin 000 address . * There are two 8 - pin DIP socket for AT24Cxxx , the address pins 001 and 011 . - I2C serial interface , only requires 2 -wire line is the data and clock . 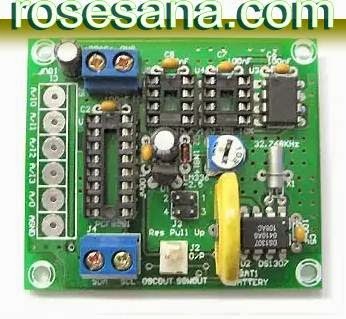 - Power supply 5 VDC .